See all 10 for $5! Get a ten-week series punch card at the theatre box office or online for $5, while supplies last, at participating theatres. Start times are between 9 and 10am. Click here to find your local participating theater and their start times! 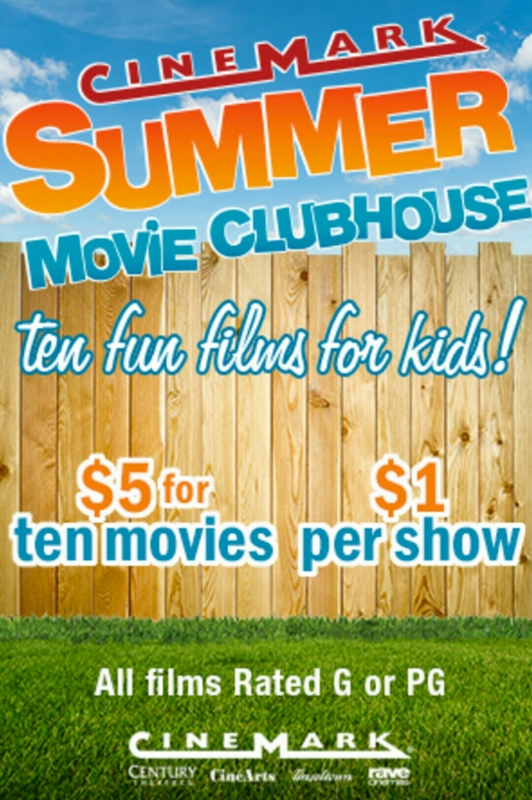 Admission to the Summer Movie RegalRegal is only $1. Tickets available Click here to find your local participating Regal theater!